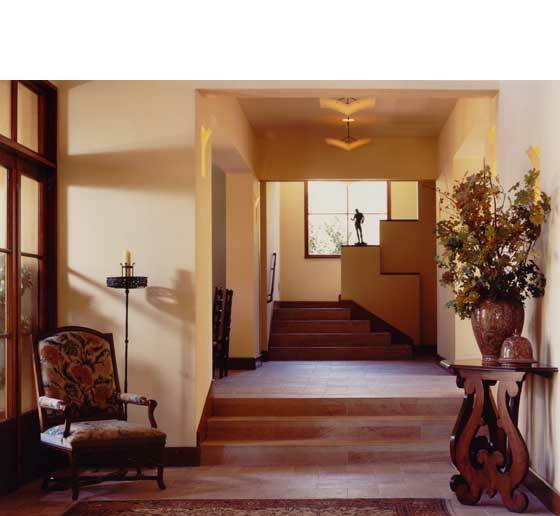 This magnificent custom home was designed by renowned architects Moore, Ruble Yudell and combines the architectural styles of Tuscan farmhouses with California modernist. The house was built to maximize indoor-outdoor living and provide a tranquil retreat for its owners. Entertaining on both intimate and grand scales was also a design requirement. Antique carpets, an extensive art collection and custom linen covered furniture all live harmoniously to create a certain lived-in elegance. This project was done while working at BraytonHughes Design Studios.